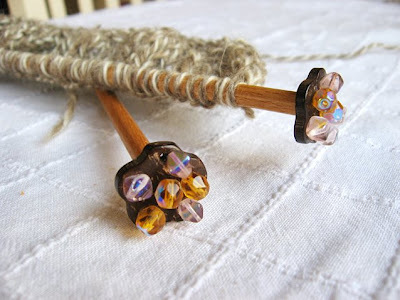 Last evening I hand crafted these wooden knitting needles. I decorated them with coconut shells and glass beads. İt makes knitting more enjoyable and it's so funny to notice people staring at my needles but ignoring my project. I really appreciate your thoughts and pattern postings here. This wooden needles seems to sound good. Those are lovely! What a great project. I love these! What kind of glue did you use? this is great ! thankx for sharing and im sure u will enjoy it !